City and County in Goole has disabled facilities. The pub is a family friendly pub, it serves food. City and County serves real ale. The pub has free WiFi, it is a member of Cask Marque. North Eastern in Goole has accommodation. The pub has a function room that can be booked, it has an outside area. North Eastern has free WiFi. The pub has a dart board, it has a pool table. North Eastern has a big screen. The pub shows football on TV, it has terrestrial TV. Old George in Goole has a beer garden. The pub has an outside area, it has a dart board. Old George has a pool table. The pub holds quiz nights, it shows football on TV. 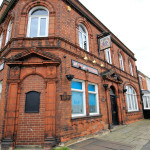 Goole Cons Club in Goole has a function room that can be booked. The pub has live music events, it holds Poker Nights. Goole Cons Club has a pool table. The pub holds quiz nights. 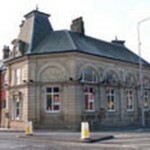 Railway Club & Institute in Goole has a function room that can be booked. The pub shows live comedy, it has DJ's. Railway Club & Institute has karaoke. The pub has live music events, it has a pool table. Railway Club & Institute holds quiz nights. The pub has a big screen, it shows football on TV. Railway Club & Institute has Sky Sports. The pub has terrestrial TV. 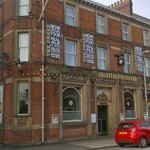 Drake Inn in Goole has accommodation. The pub has a beer garden, it has disabled facilities. Drake Inn gives a warm welcome to dogs and their owners. The pub is a family friendly pub, it serves food. Drake Inn serves real ale. The pub has free WiFi, it has a pool table. Drake Inn is a member of Cask Marque. Goole Working Mans Club & Institute in Goole has a beer garden. The pub has a function room that can be booked, it has an outside area. Goole Working Mans Club & Institute shows live comedy. The pub has a dart board, it has live music events. Goole Working Mans Club & Institute holds Poker Nights. The pub has a pool table, it shows football on TV. 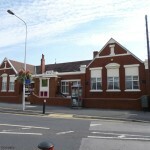 Goole Working Mans Club & Institute has terrestrial TV. Charter Club in Goole has a beer garden. The pub has a function room that can be booked, it has an outside area. Charter Club shows live comedy. The pub has a dart board, it has live music events. Charter Club holds Poker Nights. The pub has a pool table, it holds quiz nights. Charter Club shows football on TV. The pub has terrestrial TV. The New Buchanan is a family bar. You can come in to eat. The beers are reasonably priced. Food is well made and served promptly. We have a Beer garden. It's a great place to go we would welcome you to come along and take a look for yourself. Macintosh Arms in Goole has a beer garden. The pub has a car park, it has disabled facilities. Macintosh Arms gives a warm welcome to dogs and their owners. The pub is a family friendly pub, it serves real ale. Macintosh Arms has free WiFi. The pub has a dart board, it has DJ's. Macintosh Arms has karaoke. The pub has live music events, it has a pool table. Macintosh Arms has a big screen. The pub shows football on TV, it has Sky Sports. 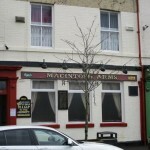 Macintosh Arms has terrestrial TV. The pub is a member of Cask Marque. Exchange Club in West Cowick has accommodation. The pub shows live comedy, it holds Poker Nights. Exchange Club has a pool table. Vermuyden Hotel in Goole has a dart board. The pub has DJ's, it has karaoke. Vermuyden Hotel holds Poker Nights. The pub has a pool table, it shows football on TV. Vermuyden Hotel has terrestrial TV. Woodlands Hotel in Goole has a car park. The pub has an outside area, it has a smoking area. Woodlands Hotel has a dart board. The pub has a pool table, it shows football on TV. Woodlands Hotel has Sky Sports. The pub has terrestrial TV.